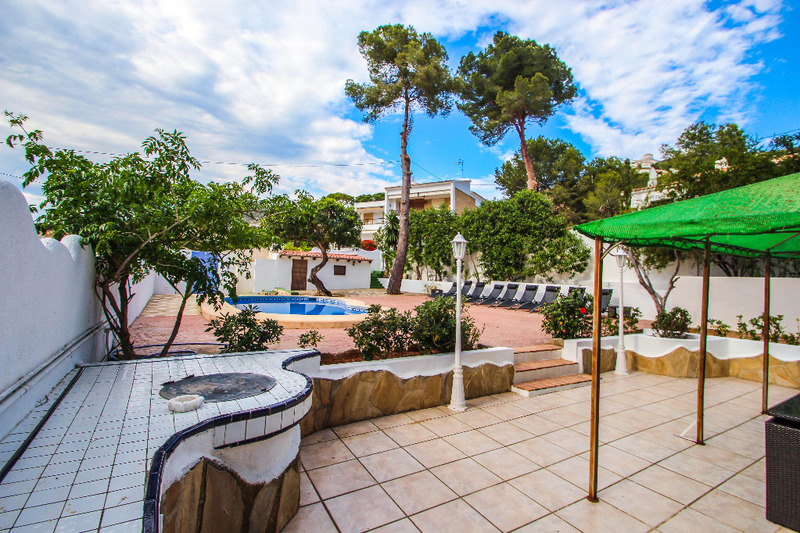 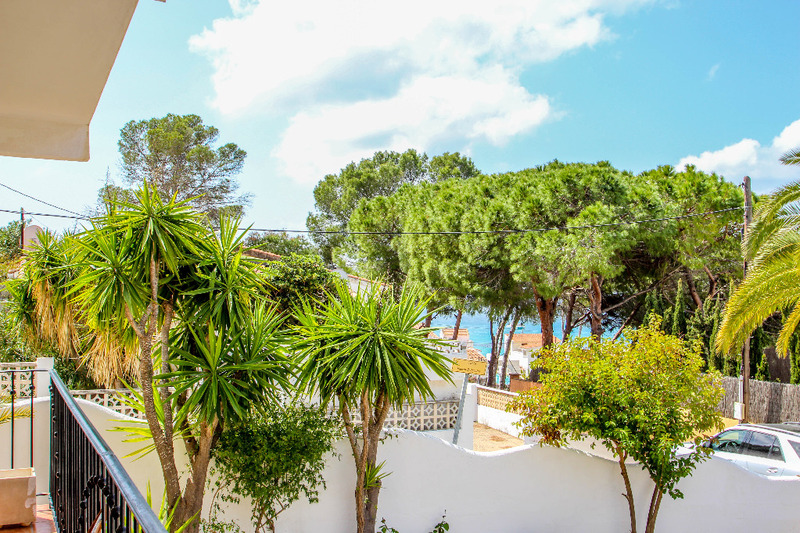 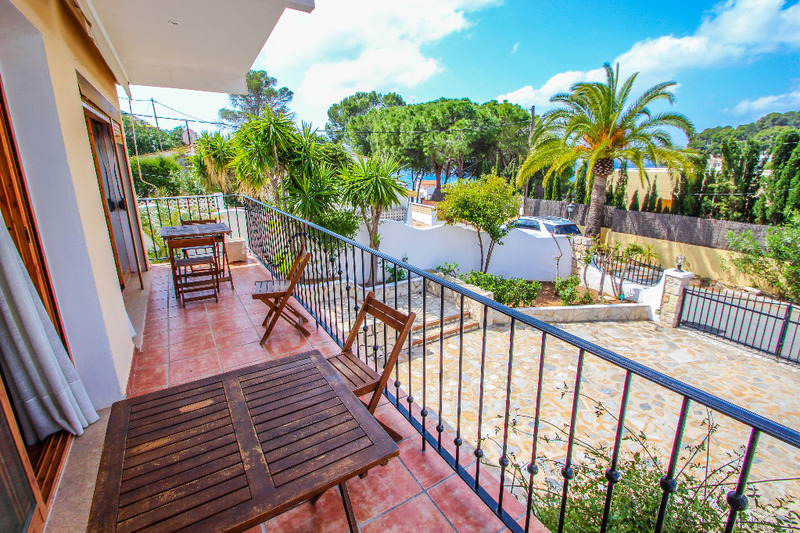 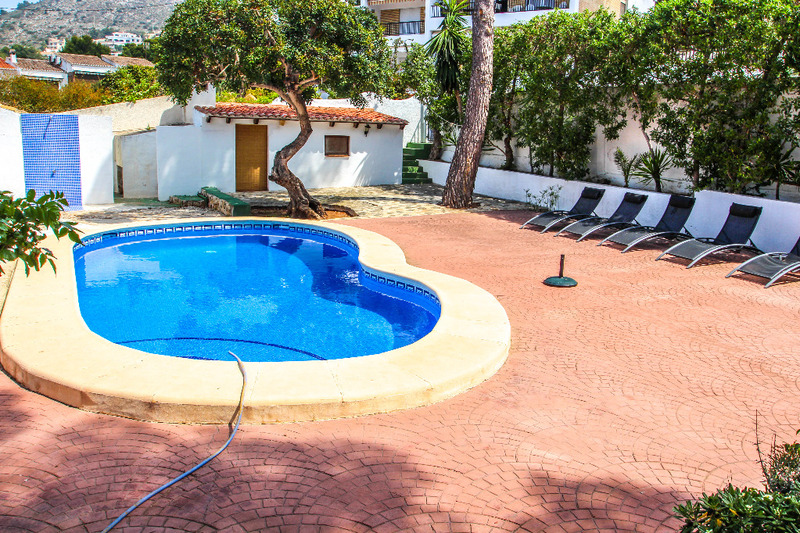 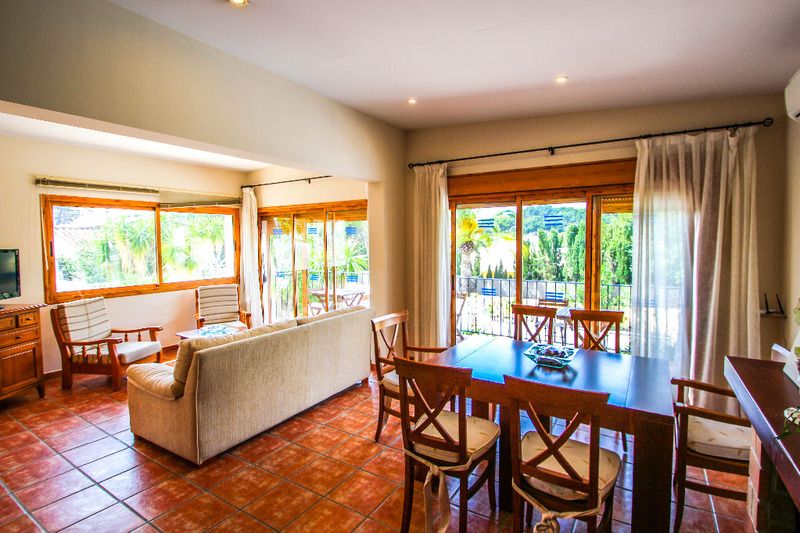 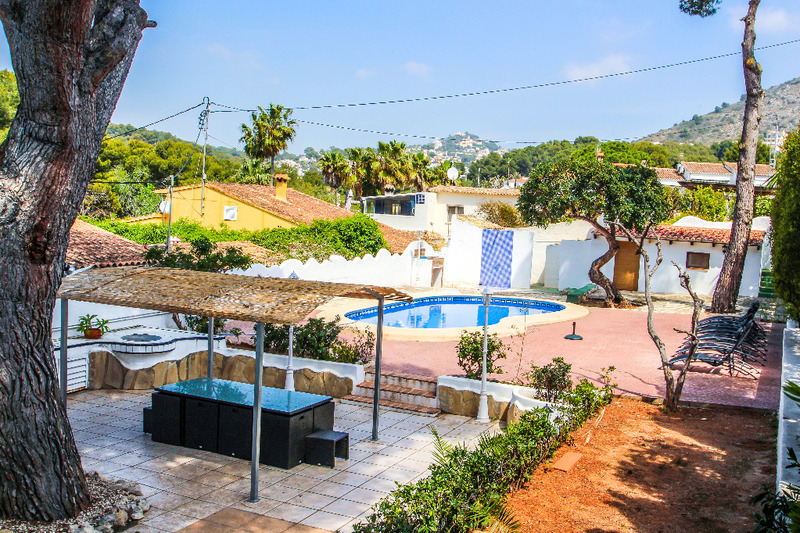 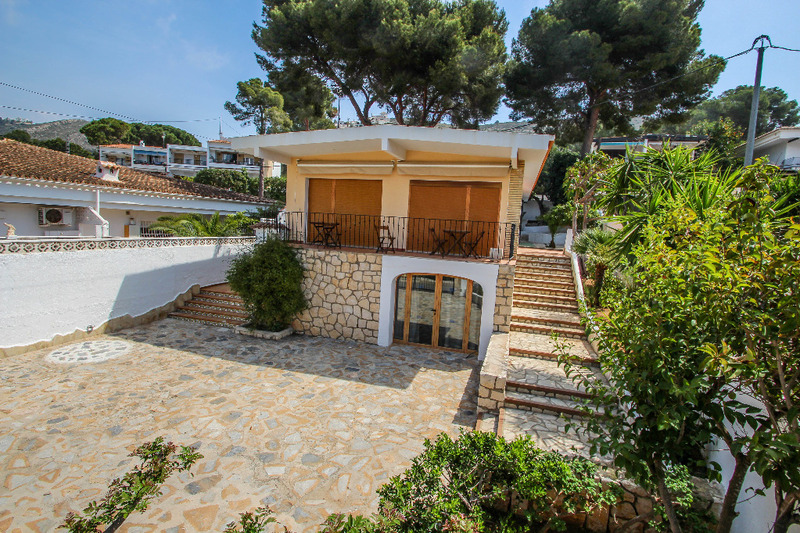 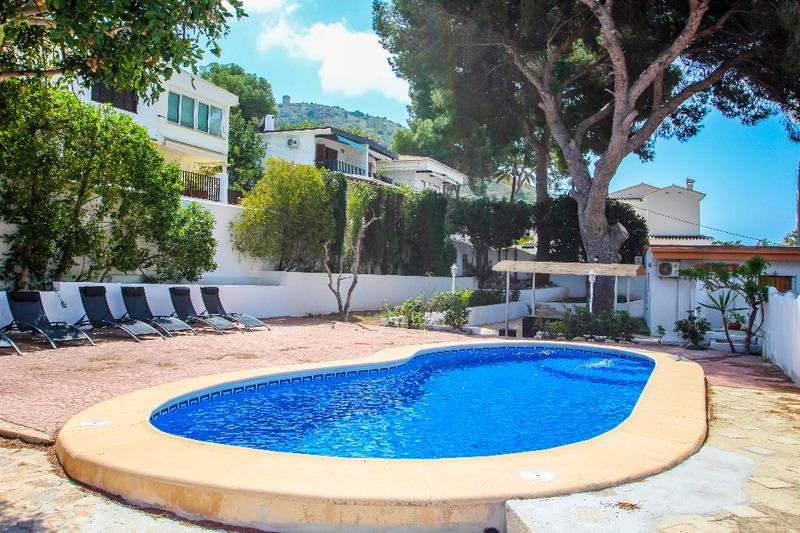 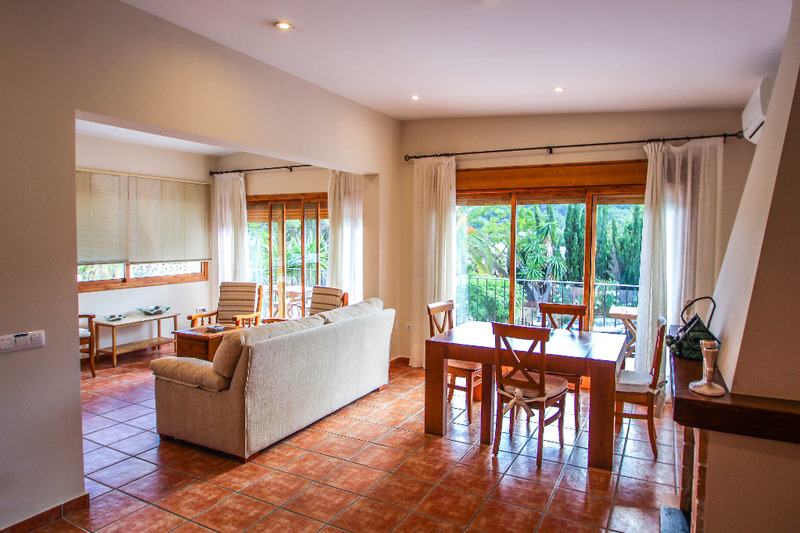 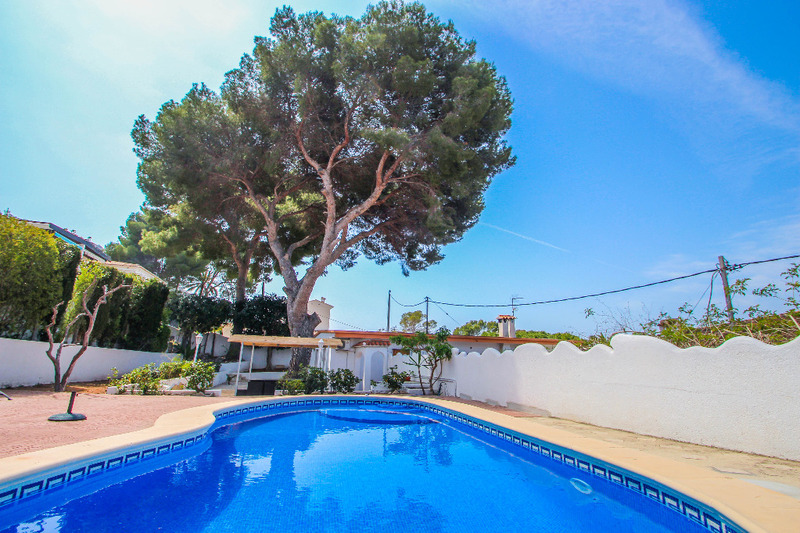 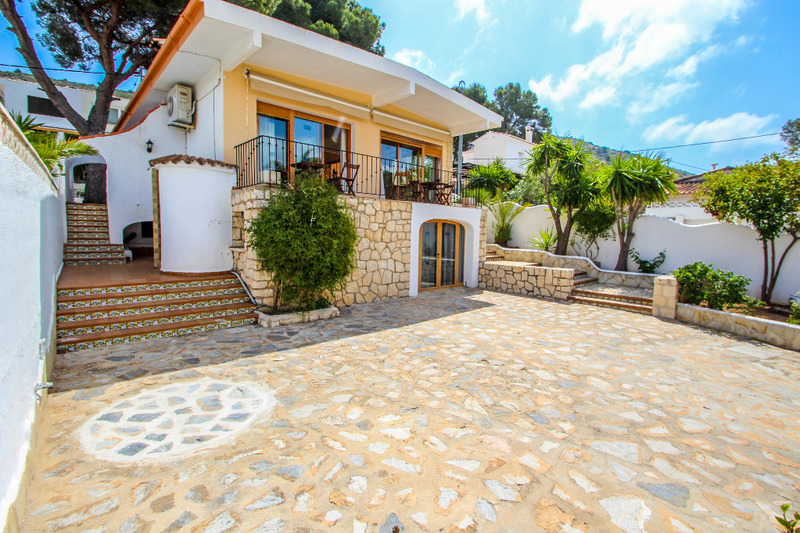 Villa Pedro 6 is situated in a quiet street by El Portet in Moraira resort, within walking distance to the famous cove of El Portet and a few minutes’ walk to supermarket, bars, restaurants, near El Portet sandy beach. 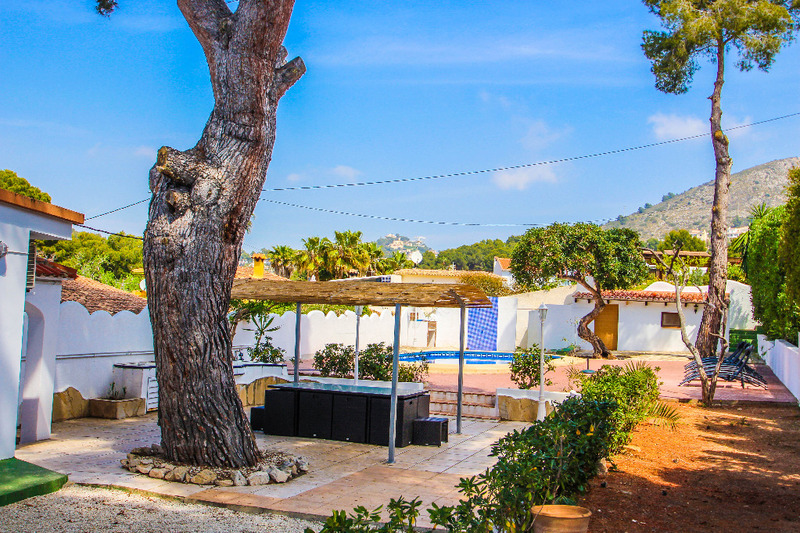 Moraira centre only 2 km away. 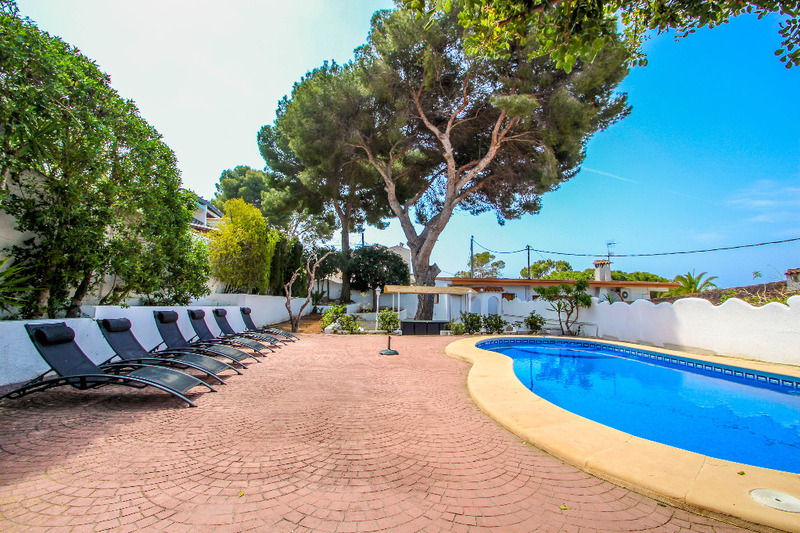 The villa offers enclosed sun patios surrounding the private pool and is completed with full patio furniture, sun lounges and a barbecue, perfect for a fresco meal. 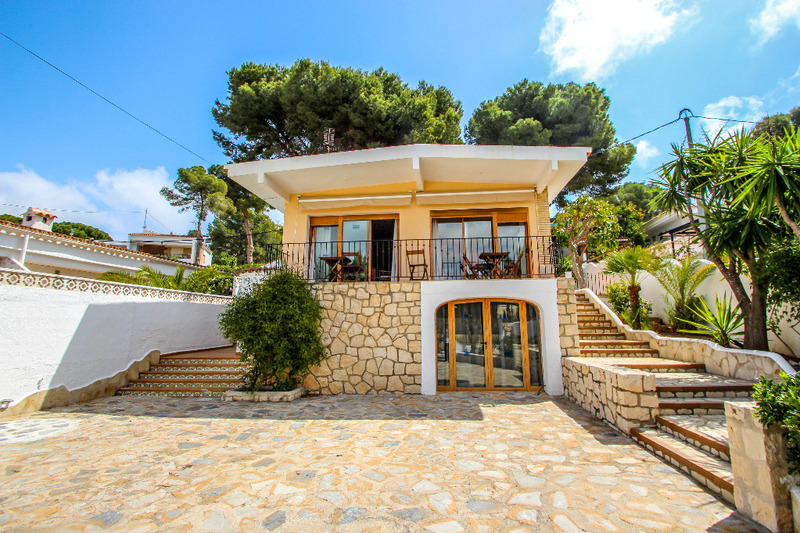 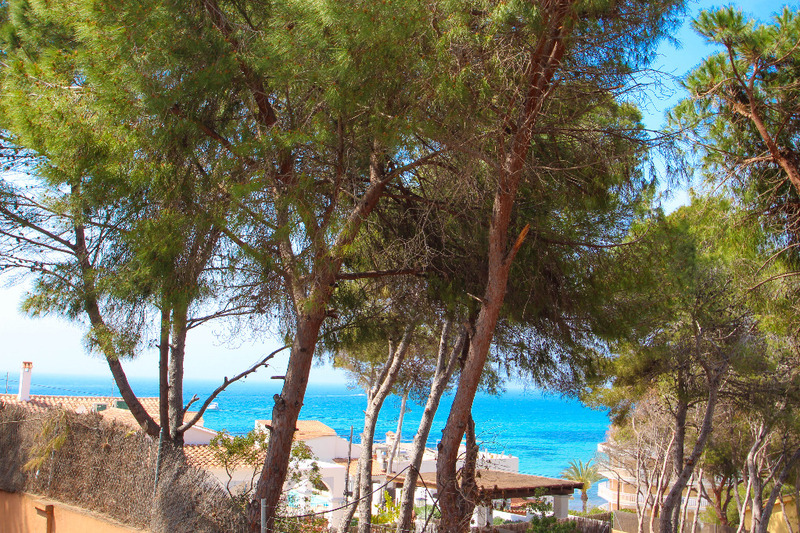 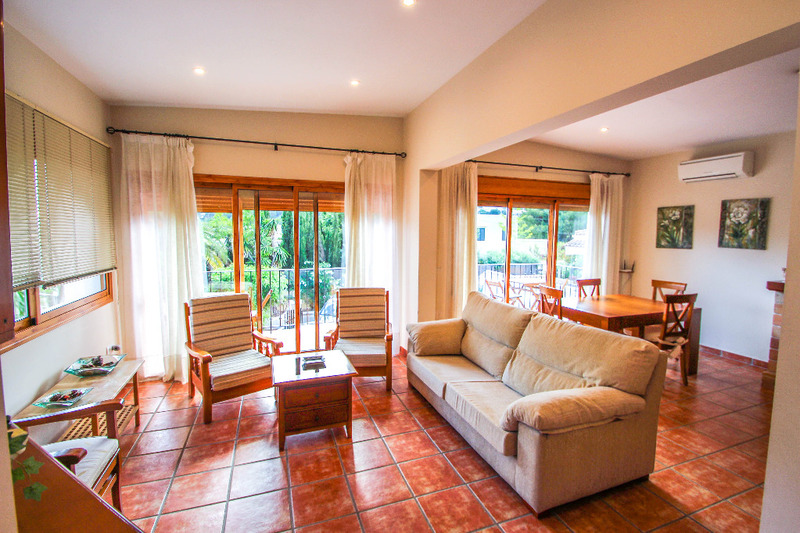 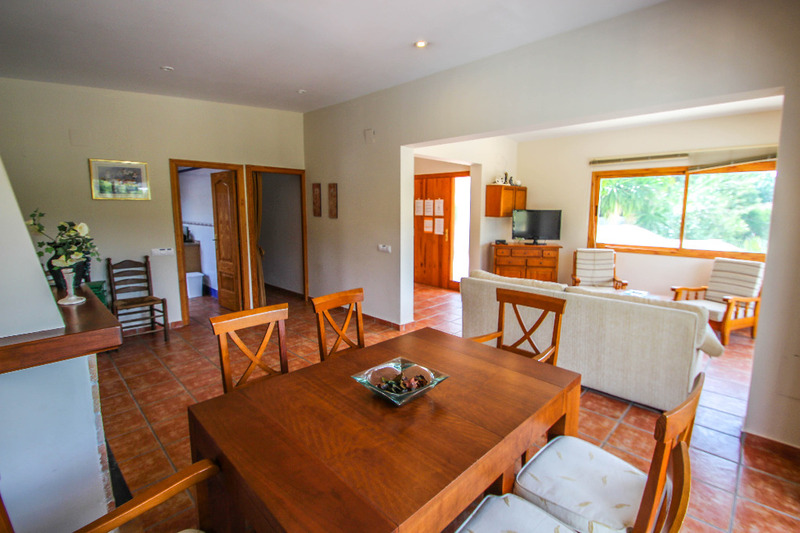 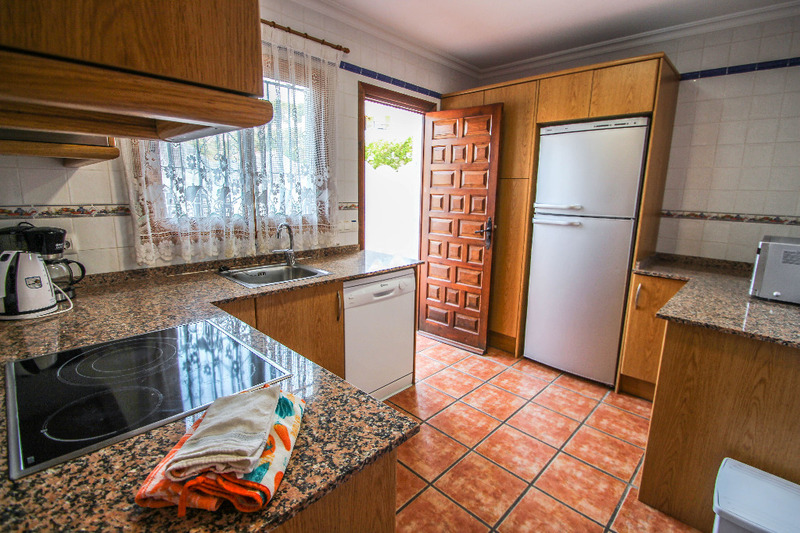 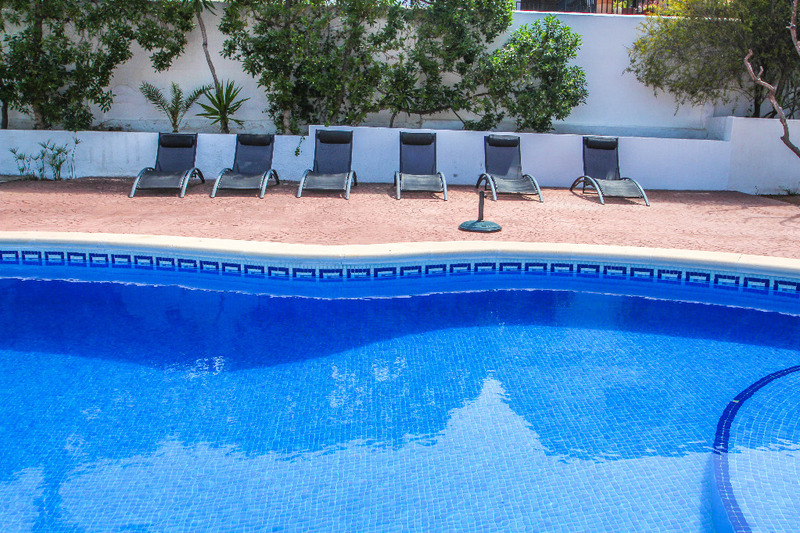 This villa is a two storey holiday home with two separate apartments. 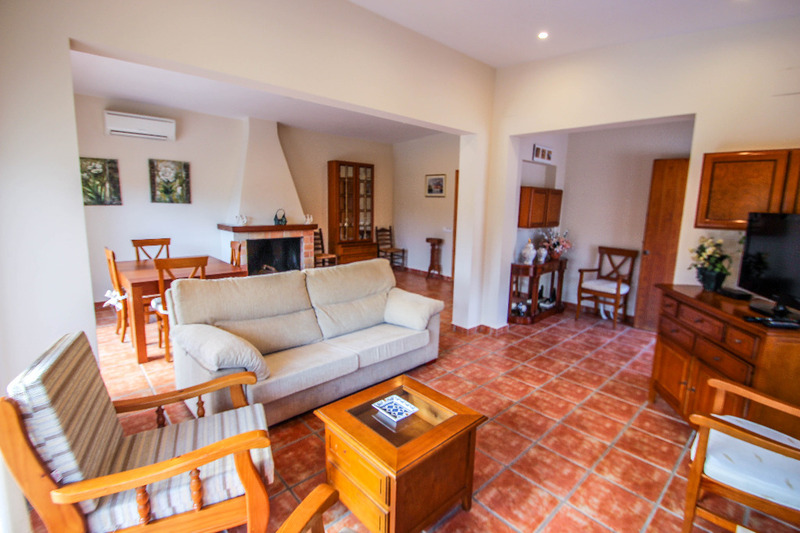 From the parking place, steps lead up to the main villa, entrance to a large living area with sitting area and dining table, SAT+TV+DVD player and A/c unit. 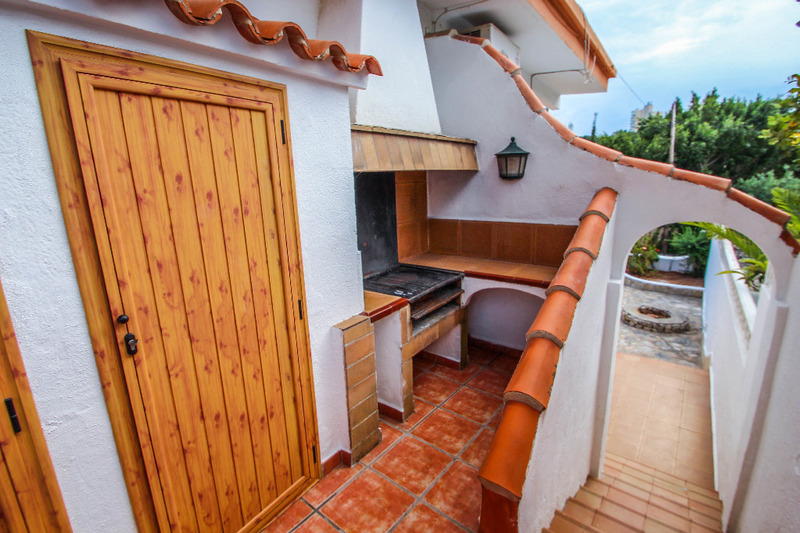 From here we access to the kitchen that leads to the spacious pool terrace and BBQ area with plenty of shadow for the hot summers and also very sunny for the cooler days. 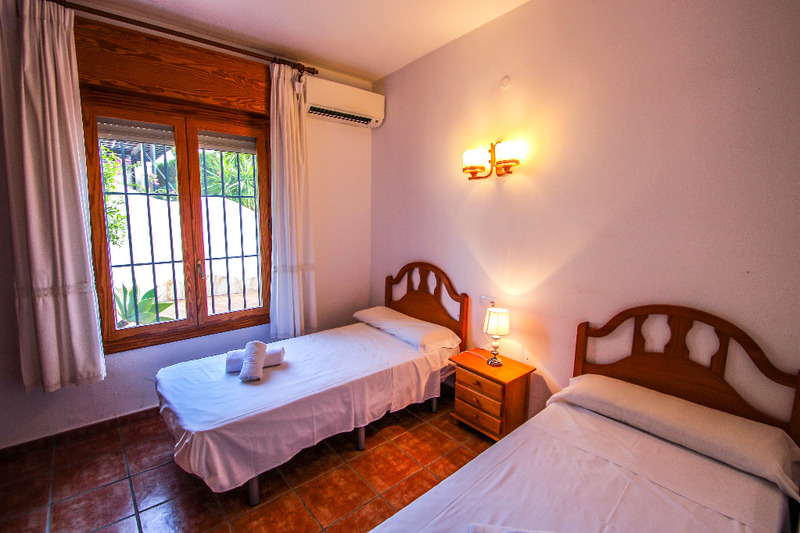 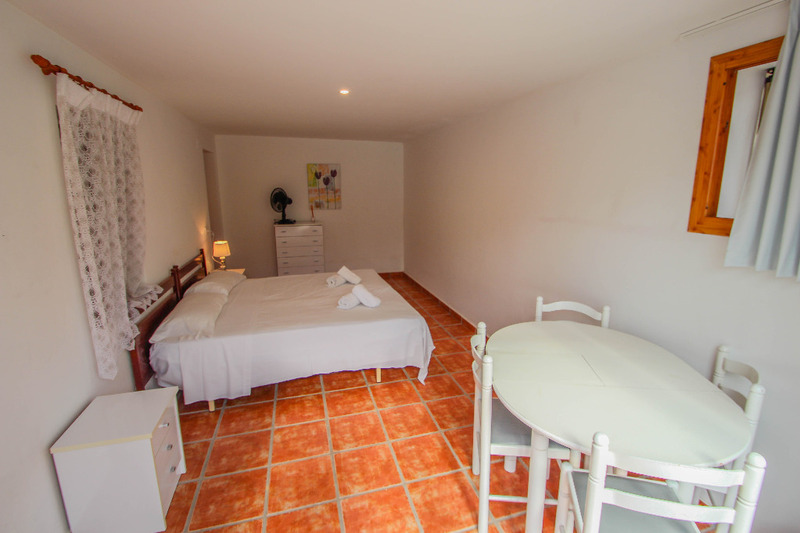 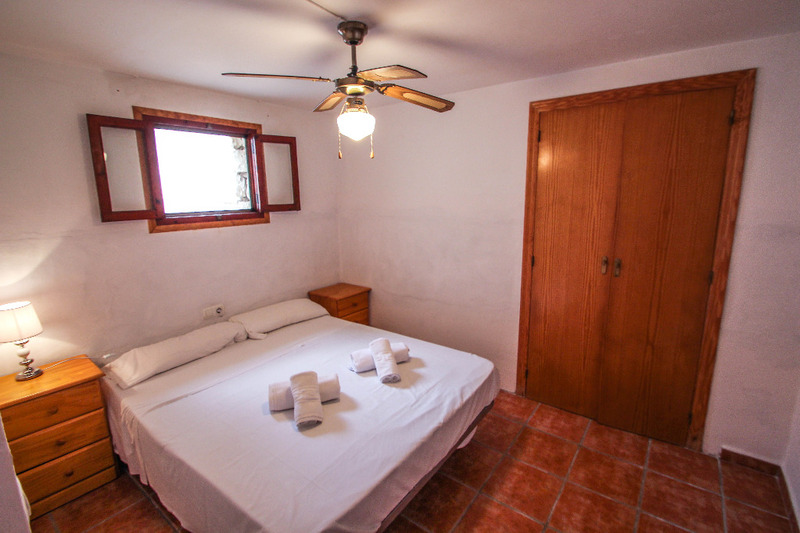 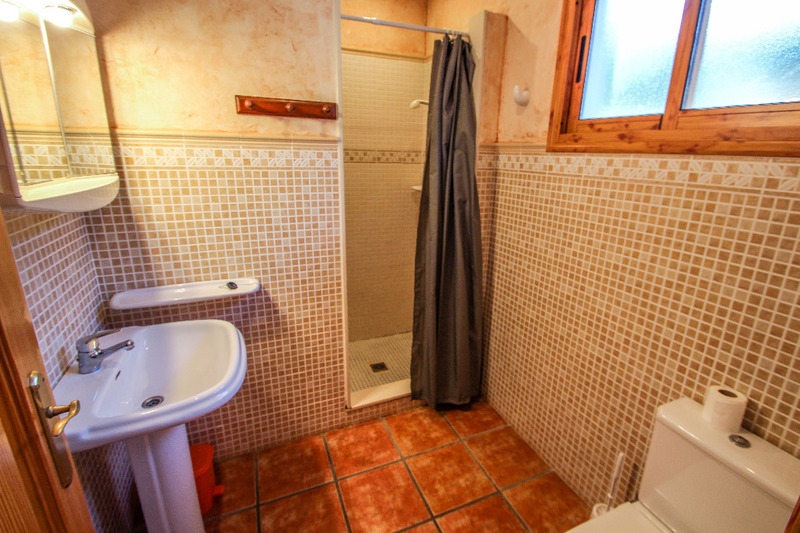 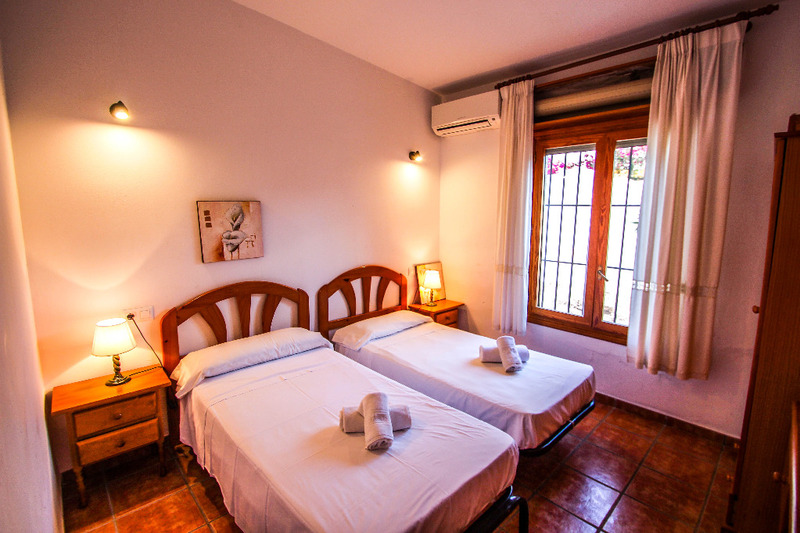 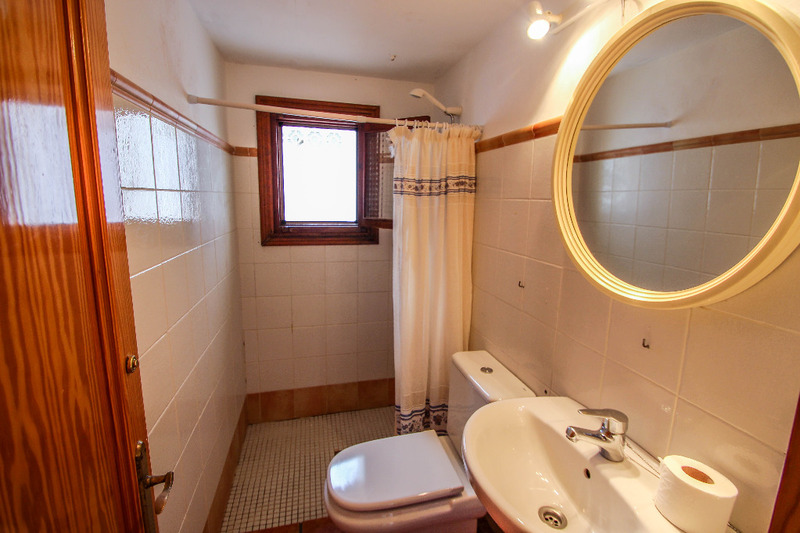 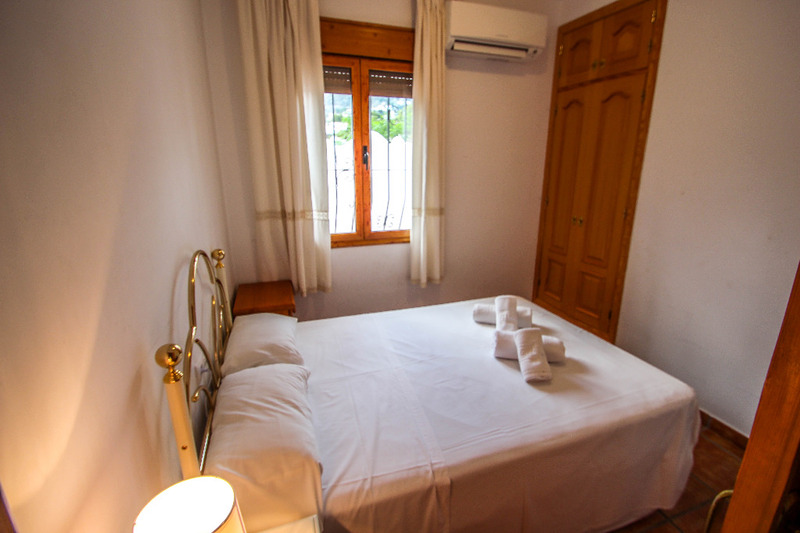 The living area leads to three double bedrooms with twin beds and A/C units, sharing a shower room. 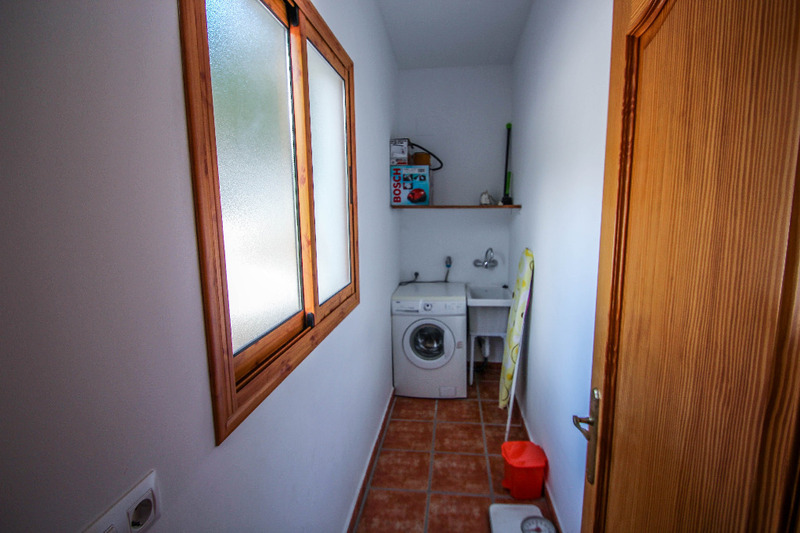 Utility room for the washing machine.